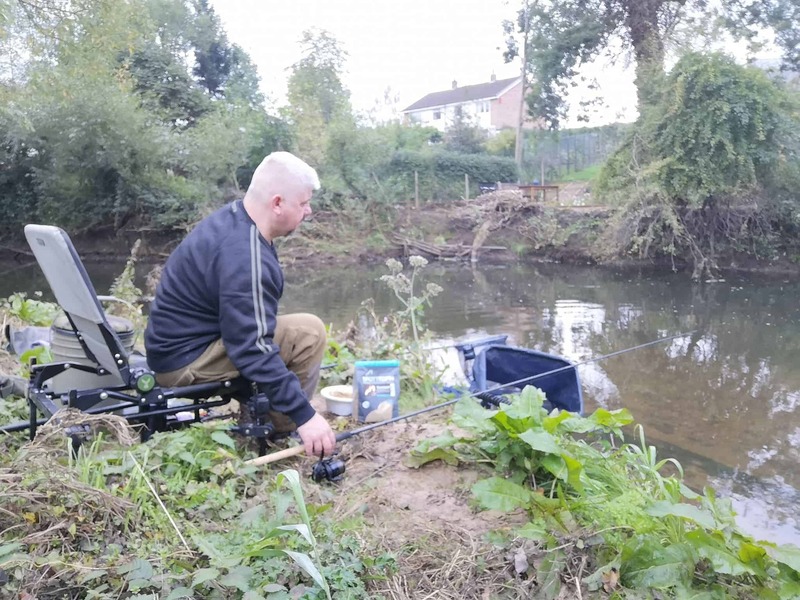 On my way back from a session elsewhere, I recently checked out a free stretch of the River Trent, hoping to be able to find some areas in which to cast a line, and absorb a little bit of information from any anglers who were there. The stretch in question isn’t that long, and my investigations revealed only a couple of fishable pegs, but it looked nice, so I decided to have a crack at it later in the week…after all, it looked absolutely perfect for dace on the stick float! A few days later, I returned, and was delighted to find that the peg I really fancied was vacant… in fact there were no other anglers to be seen anywhere, so I spent a good few minutes watching the water, spotting the flash of dace over the gravel, and the dark shadows of chub in the deeper water beneath an overhanging willow. I was itching to get started, having heard tales of gudgeon to 1lb 2oz (I know) and roach to 3lb 15oz (!) in addition to big chevins and other monsters! The reality I surmised would be somewhat different, but as I love small river fishing, I quickly got the float rod out and started to tackle up. 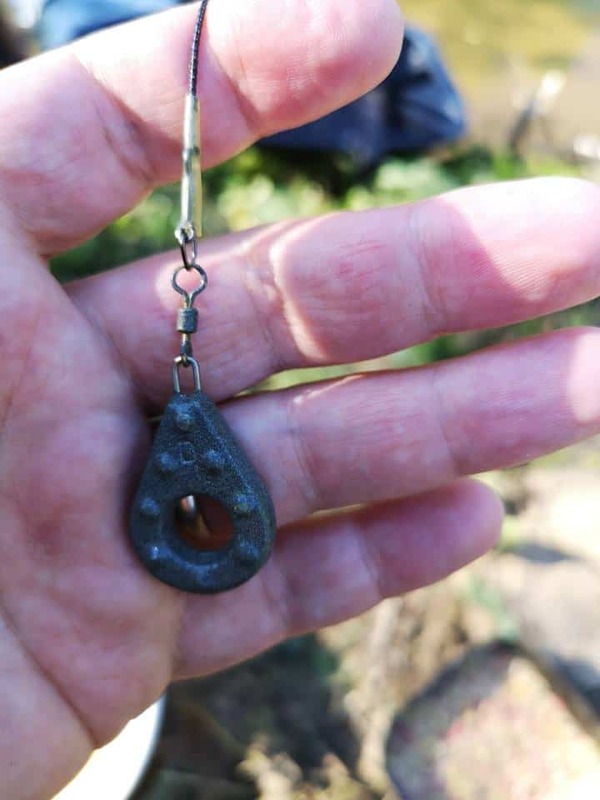 I always struggle to hit dace on the ‘tip, they are just so fast, finicky, and fleet, so it was a case of waiting for a definite pull before striking. I was so off the pace though and missed so many bites, that if I’d been in a gunfight at the OK corral, I’d have had six holes in me before I’d shot myself in the foot through my holster! Eventually, I got into the swing of it, and managed to hit perhaps two thirds of the dace, with a steady stream of nicely conditioned fish soon on the bank. I’d dropped down to a single maggot on a size 18 hook to get better indication, and for the next couple of hours, caught nothing but dace from the swim amassing a reasonable total of shimmering silvers. With chub in the swim, I stepped up the tackle and put on a heavier link, and a bigger size 14 hook. The tail of a worm was added, and it was cast back out into the darkness beneath the tree. I had to wait almost fifteen minutes for the next bite, another lurching wrap around take, and was pleased with a perch in absolutely pristine condition. 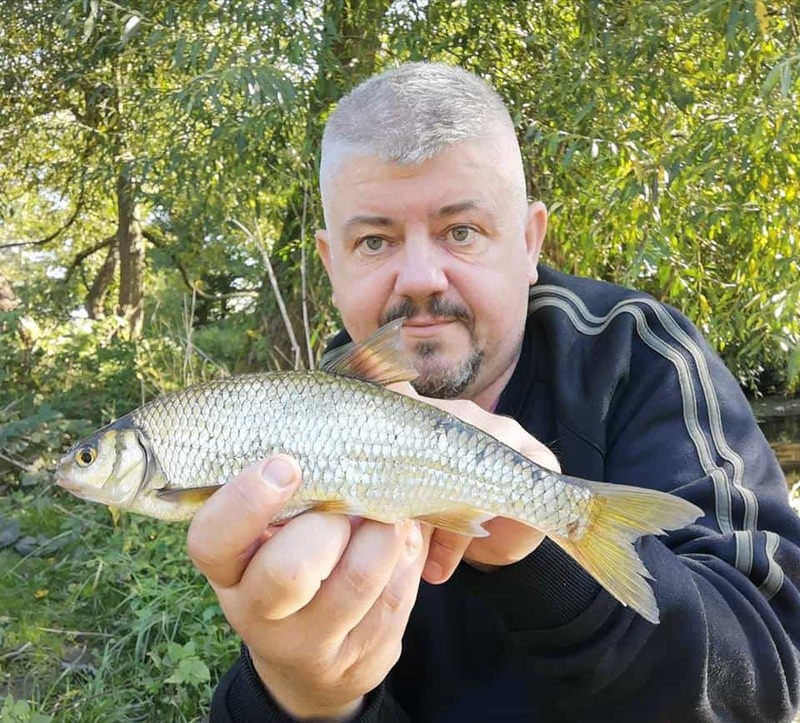 A few more followed, although sadly no chub which appeared to have been spooked downstream by my loss, and as I contemplated packing up, a flicker of the tip caught my eye, and I watched as it gently trembled… I lifted the rod and winched in a slender sliver of purple and gold… a gudgeon! Not the monster fish I’d had described to me by a fellow piscator (1lb 2oz indeed!) but nonetheless a joy to behold as it’s delicate cloak of colours glistened in the late afternoon sunlight. After a disastrous pollution incident in recent years, the humble gudgeon was a wonderful indicator of a river on the up, of clean water and good times to come. I had a very pleasant day by the riverside, and I’ll certainly visit again, but I’ll try to remember my floats next time… it’s easier to catch dace that way!